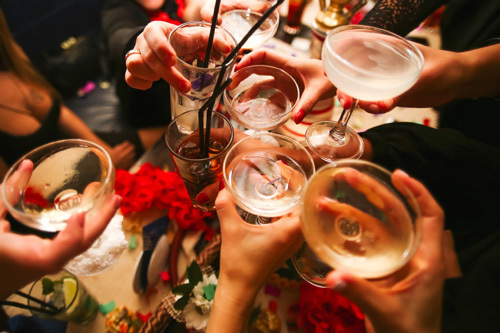 Women who are sexually active and not taking birth control should not drink alcohol, according to the Centers for Disease Control and Prevention (CDC). The CDC recommendation, which has prompted some backlash on social media, came with the release of a new report on the risk of fetal alcohol spectrum disorders (FASD) in newborn babies. The CDC released several recommendations aimed at reducing the rate of FASD, a condition that may affect up to one in 20 American schoolchildren. FASD can cause a wide range of health issues in children, including brain damage, heart problems, kidney problems, hyperactivity, learning disabilities, and stunted growth. According to the CDC report, which was released on Tuesday, over three million sexually active American women may be at risk of giving birth to children with FASD, due to not using birth control and drinking alcohol. It typically takes four to six weeks for a woman to realize she is pregnant, which means that the developing baby can be exposed to alcohol for that duration of time. The CDC also says that among women who are trying to get pregnant by stopping their birth control, three-quarters of these women don’t stop drinking. These women have a significantly higher risk of having a child with learning disabilities and major health issues. “Alcohol can permanently harm a developing baby before a woman knows she is pregnant,” said Dr. Anne Schuchat, the CDC’s principal deputy director. According to the American Society of Pediatrics, no amount of alcohol is considered safe for pregnant women. The CDC says the only way pregnant women can avoid the risk is by not consuming any alcohol at all. “The risk is real. Why take the chance?,” said Dr. Shuchat. According to the CDC report, roughly 40,000 children are born with FASD each year, making it more common than autism. The CDC estimates that it costs the U.S. $5.5 billion every year. While the CDC report has gained widespread attention, it has also been met with a backlash on social media and across the Internet. Many people have criticized the recommendations as being judgmental and unrealistic. As well, female writers from online publications such as Slate and The Atlantic have also spoken against the CDC report as being “bonkers” and “out-of-step” with the way people live their lives. While some people disagree with the report, the CDC has created several suggestions to help women, healthcare providers, and government agencies take steps to lower the risk of FASD. They have also released several infographics that show statistics related to both FASD and the risks of drinking alcohol. “Alcohol and Pregnancy,” Center for Disease Control and Prevention web site, February 2, 2016; http://www.cdc.gov/vitalsigns/fasd/index.html.